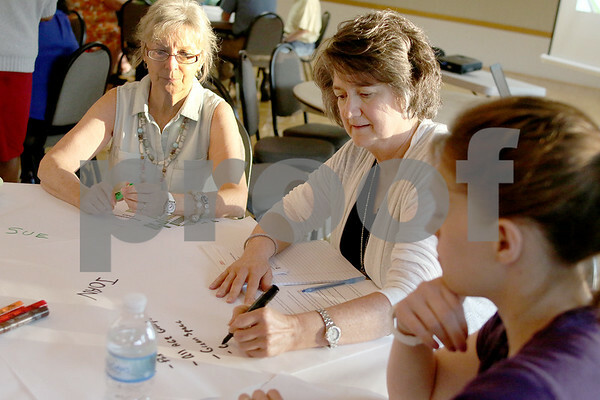 Joan Laurino, a Northern Illinois University employee, jots down ideas on the table during a City of DeKalb Community Conversation Cafe at Hopkins Park on Tuesday, July 14, 2015. The cafe was held to start brainstorming the vision and strategic goals for the City of DeKalb for the next 10 years. The draft of the strategic plan development will be presented to the city council in October for approval.